I present to you my latest sketch of the Jupiter. Sketch was made by pastels on the navy blue paper and it is also some corrected with GIMP (especially the roundness of the planet). 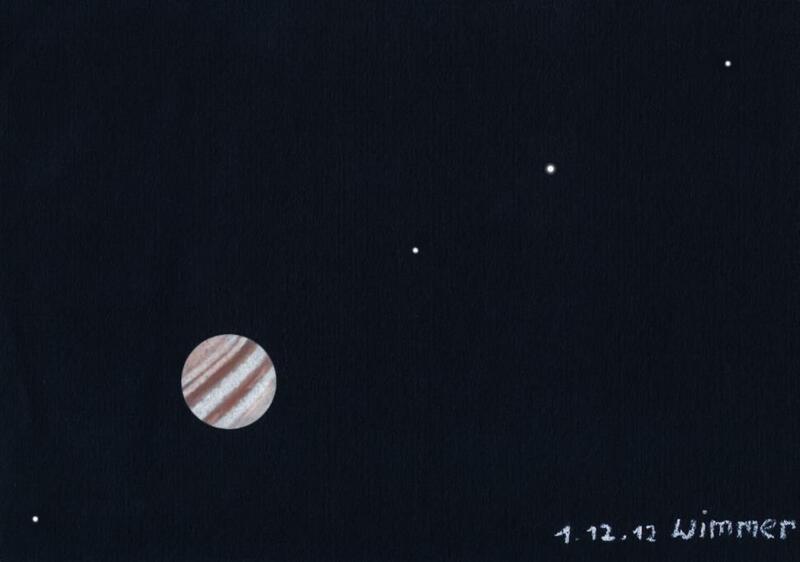 Jupiter was observed through my SCT 5″ on December 1st, 2012. Galileo himself would have loved this view. Nice view. Yes, Galileo would have loved it! It looks like what I see through my 7.1″ Reflector.